New Year’s resolutions so often crash and burn before Valentine’s Day. Looking back over your past resolutions, how many were actually accomplished? Whether our goals are fueled by guilt or even the best intentions, we often run out steam. 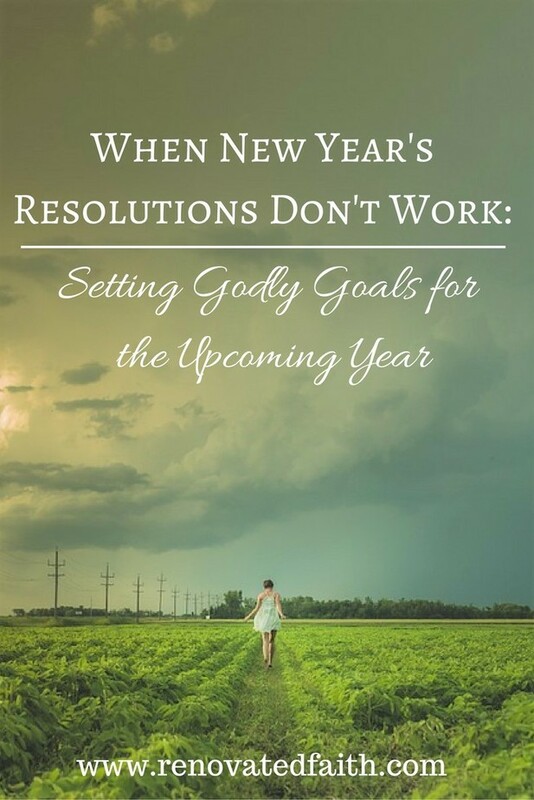 Here are some tips on how to make New Year’s resolutions that stick by making godly goals for the new year. So, what is the best way to accomplish our goals? On Pinterest, you can download any number of “goal-setting” printables to keep you focused in the year ahead. However, I’ve realized that my difficulty in setting goals was not just sticking to them but in how I defined my goals. When we allow God to infuse our goal-planning with His purposes and direction, we have real hope in accomplishing our resolutions. By seeking His direction, we can marvel at the possibilities of using our talents, gifts and skills in the way they were ultimately intended. Even the most well-intentioned goals cannot come to full fruition if they are not based on God’s plans for us. Some affiliate links may be used in this post at no extra cost to you. See my full disclosure here. God’s plans promise to always be better than ours. God is the divine initiator of all of our future endeavors. Isaiah 49:16 says we are engraved on the palms of His Hands. Our Heavenly Father loves us too much to encourage us to strive after “goals” that will eventually be hurtful or ineffective. Without seeking the Lord’s plans, we face inevitable frustration and disappointment. In order to see the best plans for our lives, we must hold our every dream, goal and aspiration to the light of God’s will. In college, my goal (although I didn’t always realize it) was to one day be successful and wealthy as an aerospace engineer. Nevermind the fact that I was miserable and that my gifts were not well-aligned for that occupation. I’m so thankful that He stepped in when my goals weren’t aligned with His best, and therefore my best. How long will you lie there, O sluggard? The Bible is clear that one should be wise in setting goals so as not to lose windows of opportunities. It also emphasizes the importance of our work, that while God does bless us, work is a necessary part of creation and we are not to be wasteful of our resources. However, it also warns that just because we make a plan and work the steps, it doesn’t mean that our goals will always be met. “Now listen, you who say, ‘Today or tomorrow we will go to this or that city, spend a year there, carry on business and make money.’ Why, you do not even know what will happen tomorrow. What is your life? You are a mist that appears for a little while and then vanishes” (James 4:13-14). So, one extreme is that the Christian is lazy without working towards a goal and the other extreme is that a the Christian works heartily towards a goal that is not God’s. 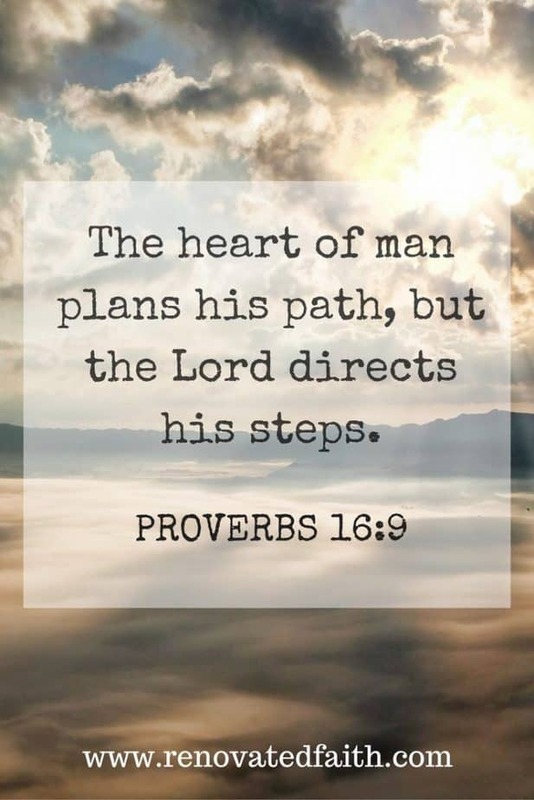 If we are working towards Goal A and God causes us to pivot at some point to work towards Goal B, we have to be humble enough to realize His ways are best and His plans will ultimately succeed. Doing that means leaving room for the unexpected and loving God’s will more than our own. Setting Godly goals means leaving room for the unexpected and loving God’s Will more than our own. 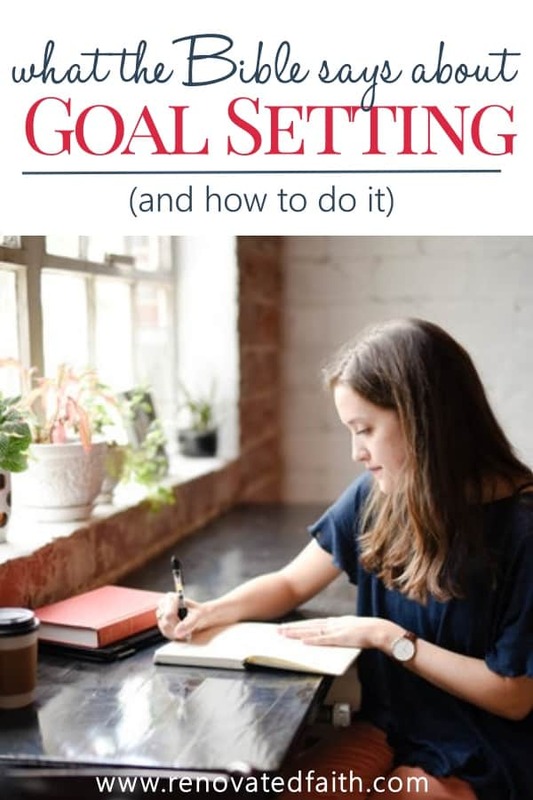 Biblical Goal Setting Principles – What does the Bible say about Goals and Planning? Take a step back to see yourself as He does. When we stop to think of the great sacrifice He made for us, we automatically gain some perspective. All of our time, talents and resources are ultimately His. Seeing our work in light of His sacrifice makes the concept of sacrifice second nature to us and we gain clarity to see the Christian’s life goal – to live a life that honors Him. When we see our intrinsic value as dearly loved children for whom He made the ultimate sacrifice, we have new clarity. I’ve become frustrated in times He doesn’t show me the final destination but only the next step. Looking back, though, seeing how far He wanted to bring me in so many areas, I know I wasn’t ready to know the final destination. It would have seemed too daunting and He knew I was only ready to hear that next step. Rely on His power in every step towards completion. Relying on His grace and strength is crucial and the outcome will be so much better. Relying on God means praying, “God, I can’t do this without you…I need you to take it and use me in it, even in spite of my fears.” God is so faithful to redeem my many shortcomings to honor Him. Our lives seldom go the way we have planned…and that’s ok. It can be difficult to redirect our thoughts from “where we thought we would be” to “where we go from here”. However, God sees life’s twists and turns well before we do. Not only does He prepare us for them but He holds us in the midst of them. Biblical Goal Setting – Spend some time reading over the following verses and ask God what He has in store for the following year. Ask him to show you what your goals should be for this year and what areas need your attention. You will be pleasantly surprised to see how He so gracefully and unmistakably directs your path. 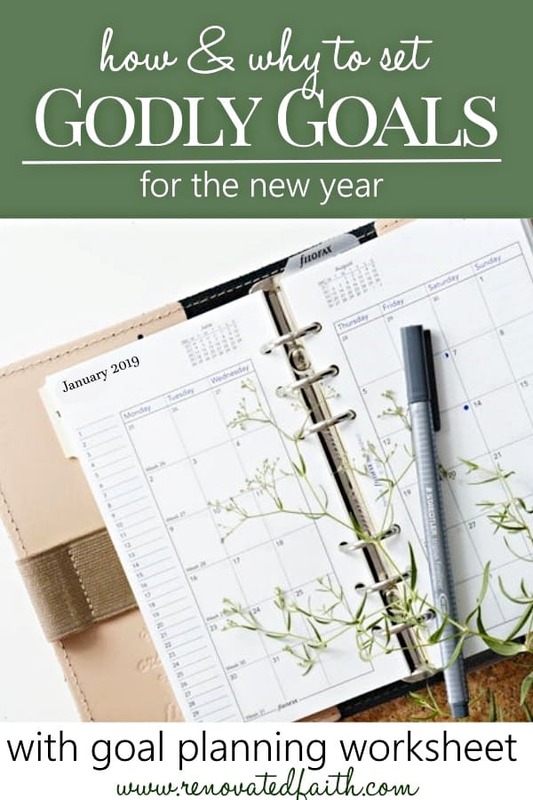 Here are several spiritual goal setting examples to help you with your list of spiritual goals for the new year. Nehemiah – Planned how to get King Artaxerxes to allow him to rebuild Jerusalem and then he built the wall in 56 days. Abraham – As the Father of Isreal, Abraham was given the goal from God, to travel to a distant land and settle there. He traveled from Mesopotamia to the Canaanite lands, now known as Israel and Palestine. This is a great example of how sometimes God gives us an agenda but we don’t know what the final outcome will look like. We just have to trust that His way is always best. Paul – The apostle set a goal to testify of Jesus to the Caesar of Rome. As apart of accomplishing this goal, he probably did not realize that he would get arrested, be threatened by mob violence and was tried several times. Regardless of the circumstances, his focus remained the same. Jacob – In Genesis 29, Jacob had worked 7 years for Rachel’s hand in marriage and then we was tricked by her father who he had married her sister Leah instead. So, Jacob set the goal to work 7 more years for Rachel. In Genesis 30:25–43, he worked within an agreement with his father in law, earning a portion of the sheep herd for his own. 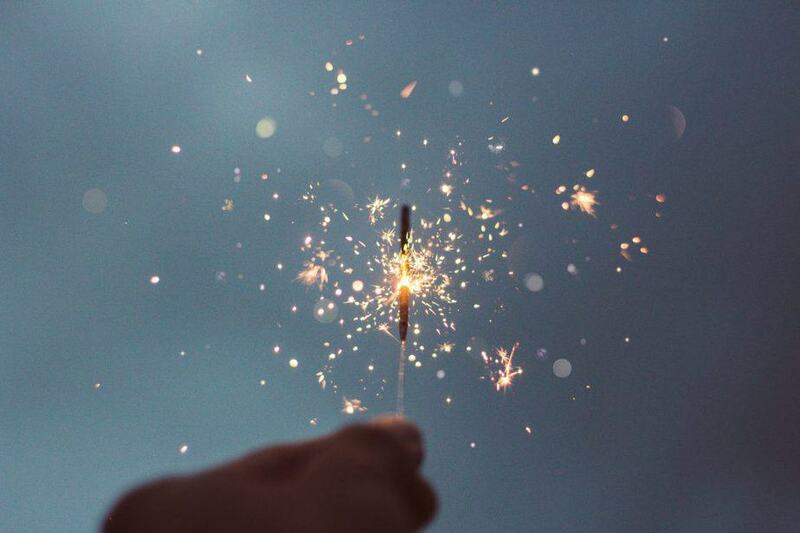 What are your Spiritual Goals for 2019? After reading over the spiritual goal setting examples above, what are two goals you would like to focus on? What are some goals that would help you improve your day with God? Which of the following do you need to do more of? Involvement in a church body? Going to God instead of Food or some other stronghold? Disclaimer: Don’t be overwhelmed by this list. I can assure you that just about every believer can improve in all of those categories. But pray about what your focus should be and which one or two need to be a focus for this coming year. Now that you have an area you want to focus on, make a list of activities that can help you achieve that goal. For example, if I want to memorize more Scripture, I could try to memorize one small verse a week by writing it out once each morning. If I want to get in the habit of spending time with God, I can set an alarm on my phone each morning and find a good Bible study or devotional to do during that time. (Check out some women’s Bible studies here). What about Spiritual Goals for my Child? It’s is important to expose children to the truth of God’s word and show them that church is a place where they can see the love of God. For a fabulous resource on building your child’s faith, check out this post by group.com. 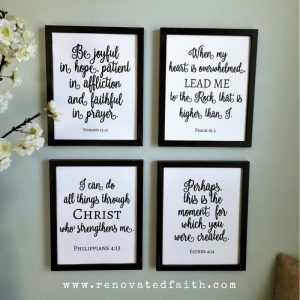 Be sure to subscribe to Renovated Faith for next week’s post on how to tackle and accomplish our God-given goals. Did you like this post? This blog is my ministry so be sure to share it as a message of God’s hope. Have a wonderful week! Great tips to use in setting our goals!! I love this post! I also wrote a similar post on my blog. We need to give God control of our future. I LOVED this! It actually puts my thoughts into real words! The part that struck me the most was by allowing God to guide and direct me, I have hope in achieving His goals for my life. Without Him, my New Year’s Resolutions (which I never do) are hopeless. YES! This is part of why I don’t set New Years Resolutions. I understand it can be a fun, and I’m not knocking anybody who does do it. I’m already seeking God’s purpose for my life, so I don’t have a strong need to make changes in my life. This was a great post. I’ve never been one to make resolutions but goals. daily, weekly, monthly etc. mostly to be better tomorrow than I was today.